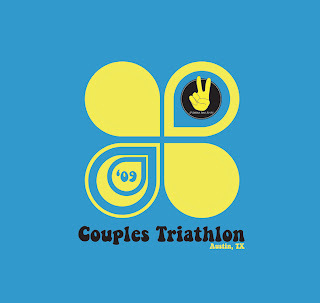 Five hundred "Couples" (1000 people total) will be toeing the line in Austin on Sunday for the annual Couples Triathlon. Skeese Greets has, in the past, donated cards for the race packets but failed to get it done this year. Packaging 1000 individual cards to be included in race packs is a VERY time consuming process. Instead we donated some graphic design, race day volunteering, and will also send out "Thank You" cards to sponsors and others. If you're still interested in signing up for the 800 m swim, 11.2 mile bike and 3.1 mile run, you can do so at packet pickup today and tomorrow at Jack & Adam's Bicycles. You don't necessarily need a partner for the event, but it does make it more fun! 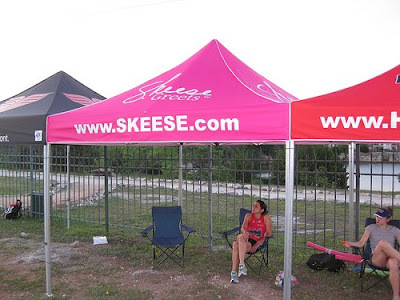 When you're out there this weekend, be sure to take some shade under the awesome Skeese hot pink tent! It's amazing the difference a little shade will do when temps soar into triple digits.